Sneezing is very unpleasant to some people, while others have to laugh when they do it. When I sneeze, I always have a little fun because I have to think of the comedy, “My Stepmother is an Alien”, with Kim Basinger as the wonderful, beautiful alien who does all kinds of funny things. When she sneezes, she wonders what it was. “Very liberating.” she says. Funny! What is sneezing anyway? Scientists are still researching the phenomenon of sneezing. In the MIR-Method, we look positively at sneezing, based on Chinese medicine. Most people associate sneezing with being sick, such as hay fever, allergies and colds. And yes, one of the functions of sneezing is cleaning out your nose by blowing. Freeing the respiratory system of, for example, spring pollen. Or from other miniscule things that float around in the air. Still, that’s not the only function sneezing has. It’s also a positive signal. When you sneeze, you are letting go. When the large intestine meridian is blocked, we speak of stubborn, stuck emotions. It’s possible that this is causing you to be too dogmatic, too rigid or inflexible. People with a blocked large intestine meridian have trouble crying, are defensive, are sticklers for the rules “because that’s how it should be”, are organized and perfectionists, suffer from feelings of guilt, chronic stress, fear of the unknown, fear of losing control and fear of failure. They don’t like change because they feel powerless and try to keep everything under control. Sound familiar? Because of yourself? Or for someone else close to you? If the large intestine meridian doesn’t flow well, this behavior will be even more evident. And that’s no fun! It’s very tiring. Just think about how it is to resist any change and feel like a pawn of what happens. It causes you to feel chronic stress…. It’s exhausting! It’s enough to give you a good cold so you can get some rest. Having a cold is a blessing! A cold is nothing more than your body putting on the brakes. Your body wants you to take a break. To catch your breath. To shake off the stress for a little while. So don’t take medication to suppress the cold or to get over it. Just dress warmer or get under a blanket so your body can use all it’s energy to get better. And to get a few days of rest. Just as it should. Not, “This is not a good time!” No, just rest! And don’t take any medication or other substances to get rid of the cold as quickly as possible. No, just let the cold be a cold and realize that you carried on a bit too long, went over your body’s limits and have now been strongly admonished to pay some attention to your body and your health. Your body sure has organized this cleverly! The only thing you need to do is to submit to it and allow yourself to rest. Wonderful! With a blanket on the couch, a cup of tea with lemon in it, watching films. Time for yourself. Time to reflect. It’s priceless! Sneezing is a very good sign. It’s a sign that you are letting go. Many people have to sneeze when doing the MIR-Method. A good sign! With step 4: ‘Clear meridians’ you stimulate, among other things, the large intestine meridian to get rid of the blockages. You become more flexible and more in touch with your feelings. You can surrender yourself more easily to what happens and can more easily accept changes, just as intended in the life of humans. So welcome every sneeze with a smile! Hey, I’m letting go again. Hooray! And how about you? Do you sometimes have to sneeze when doing the MIR-Method? Or do you sneeze all of a sudden, without warning? Please let me know! Write about it below Thank you! Wishing you much sneezing pleasure! I find sneezing to be extremely therapeutic. Very often when I lie down to rest I will sneeze three times and then my body will be relaxed enough to rest. If I’m meditating and I hit into some emotional/psychic blocks, I will sneeze, very often 3 times to release the block. Yes, for me, sneezing is a God send! That sounds funny and blissful at the same time. I guess you’re letting go quite easily the very moment you lay down. I love this article … but am a little puzzled by it. I have had what I call “sneezures” since childhood. Bouts of hard, forceful sneezing; 10-15 sneezes in rapid succession. In the last 10 years, I have learned it is most likely an emotional or stress related symptom. Any helpful comments on this will be greatly appreciated! Yes, it is probably a stressy emotional related symptom. You release at that moment old emotions. Very often it is sadness that has been resolved, but can also be guilty feelings. In a way you can see that your ‘sneezures’ were signs of healing and growing. You, bless you! Really enjoyed this article, very good! Ha! I currently have a cold, the first one in years! And I’m on a massage course surrounded by friends and thus receiving great support and ….massages! All good detoxing and clearing stuff. And I have a day booked off once I get back so am actually revelling in this cold, it’s a good time and place to have it. 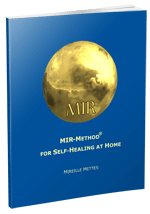 I had wondered if I was releasing from the MIR method. Thanks for the confirmation Mireille! How funny how exact it works for you! Great! And yes, an AWESOME place to be going through this period of letting go! And I am glad you booked a day off afterwards. Take good care of yourself!